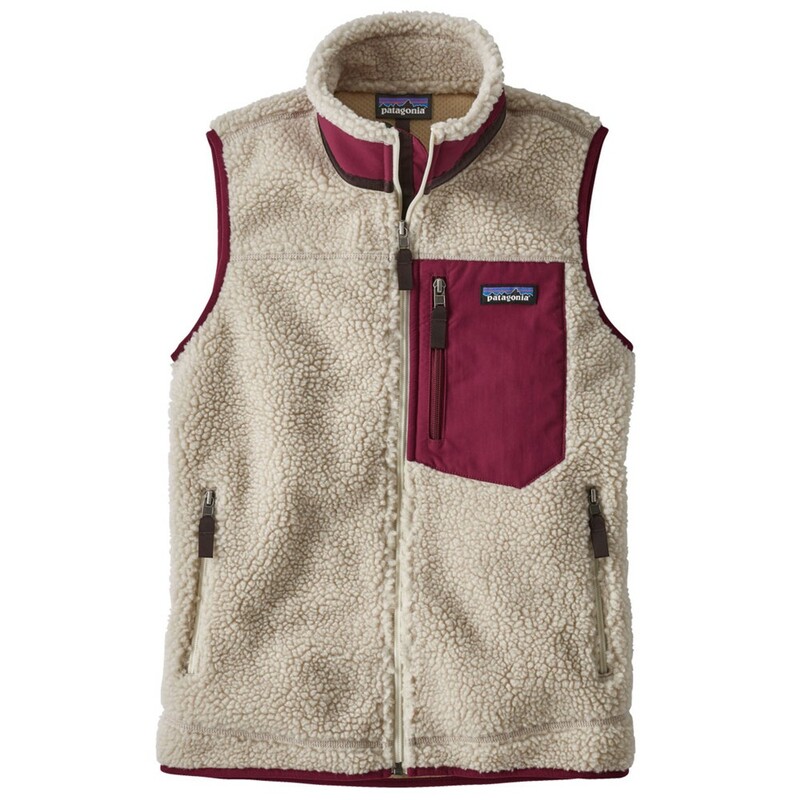 A thick women's gilet by Patagonia with natural looking feel. It features a 50% recycled bonded sherpa fleece construction. This core-heat-trapping piece is perfect for casual winter dog walks or when taking a rest bite from high output activities. The fabric is bluesign® approved and featured Polygiene permanent odour control. A moisture wicking finish and a windproof barrier.